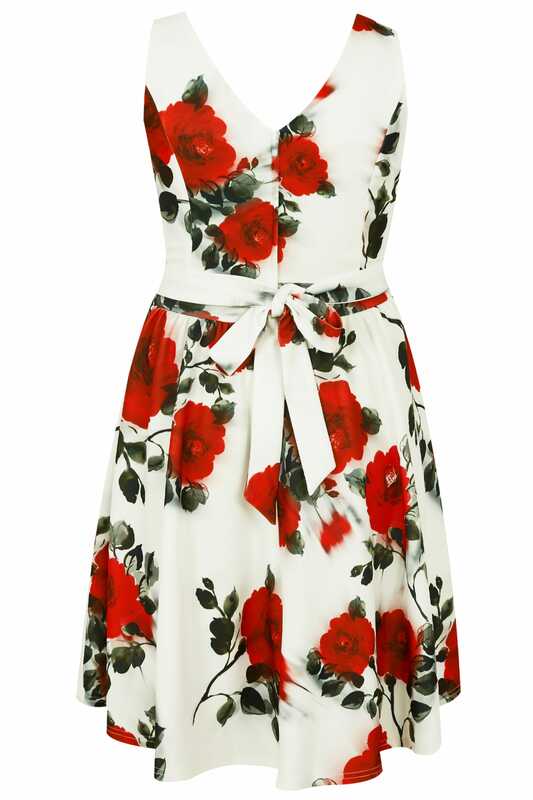 Exuding feminine charm, this eye-catching dress is the perfect special occasion and party option. 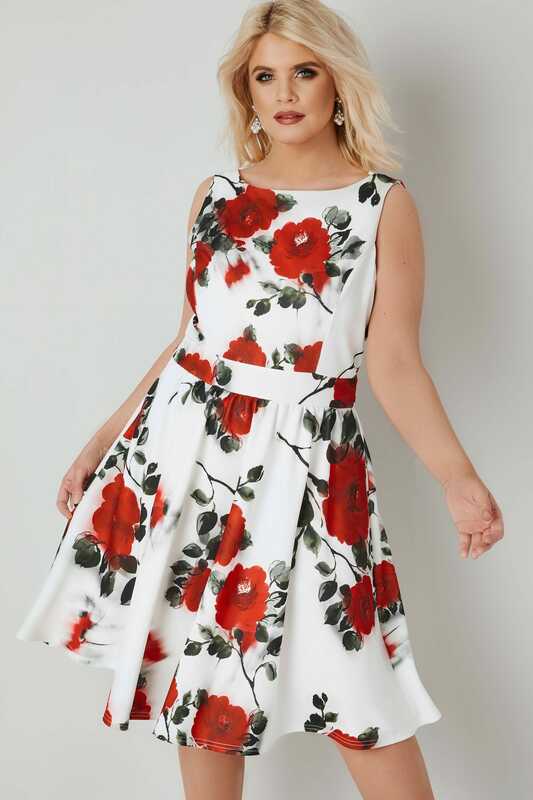 In a shape flattering style featuring a self tie waist for a more cinched in silhouette, it is cut to a midi length and features a rear zip fastening for a secure fit. Team with high sandals and a simple clutch for an effortless profile. 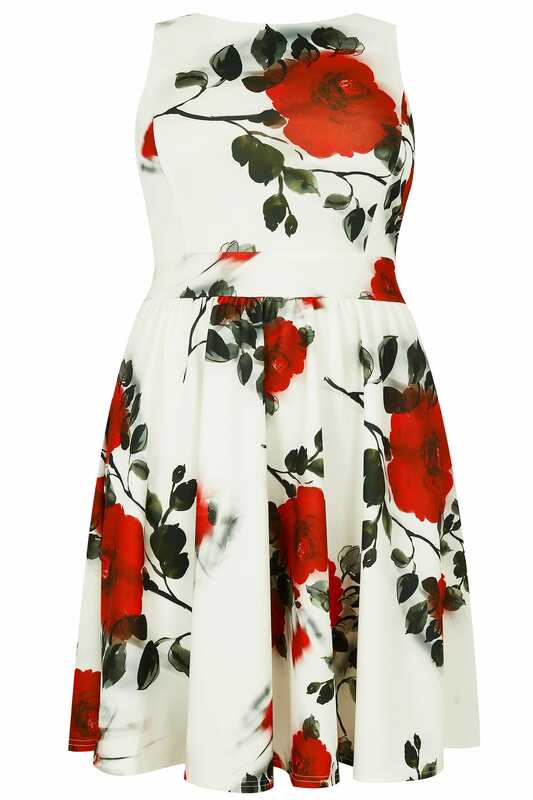 We love the bold red rose print.